Could red cups still be on their way? 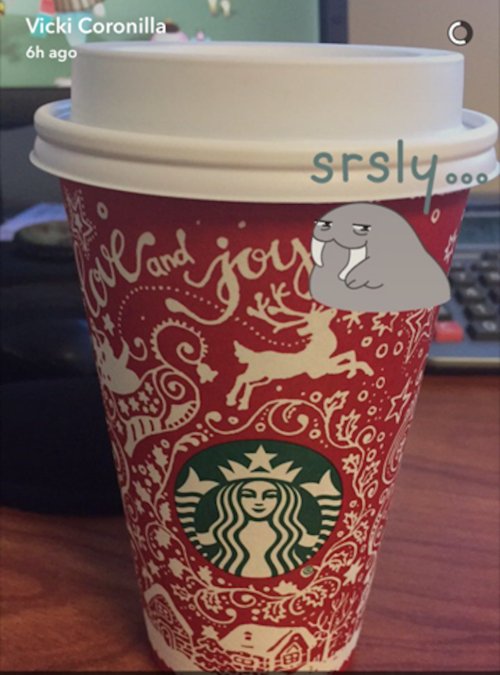 In keeping with their yearly tradition, Starbucks has announced a new cup design and drink offerings for the holiday season. The cup features a green background — its first green holiday cup since 2005 — with the outlines of dozens of people of all genders, races and professions. According to a press release , all the figures on the cup were drawn in one continuous stroke by artist Shogo Ota. "During a divisive time in our county, Starbucks wanted to create a symbol of unity as a reminder of our shared values, and the need to be good to each other,” said Howard Schultz, Starbucks chairman and CEO. Those who miss the red cups might still be in luck. Reports are circulating that Starbucks will have traditional red holiday cups later in the year, but spokespeople with the company have not confirmed those rumors. Though Starbucks has not commented publically, some shops in the San Diego area served drinks in red holiday cups on Tuesday. In 2015, Starbucks red holiday cup design drew critics — among them being Republican presidential nominee Donald Trump — because it did not include a Christmas-specific theme. Though Starbucks has never included the word “Christmas” on its cups, it has incorporated Christmas themes like lights and reindeer in the past . Starbucks also announced a new line of Christmas drinks , including a caramel brulée latte, a chestnut praline latte, an eggnog latte, a gingerbread latte, and a peppermint mocha.